LA is big, but LARPBO is bigger. Much bigger! So much so that I have to thank LARPBO for introducing me to places I’d never have visited weren’t it for them and my dog! You see, my dog brought me to LARPBO. 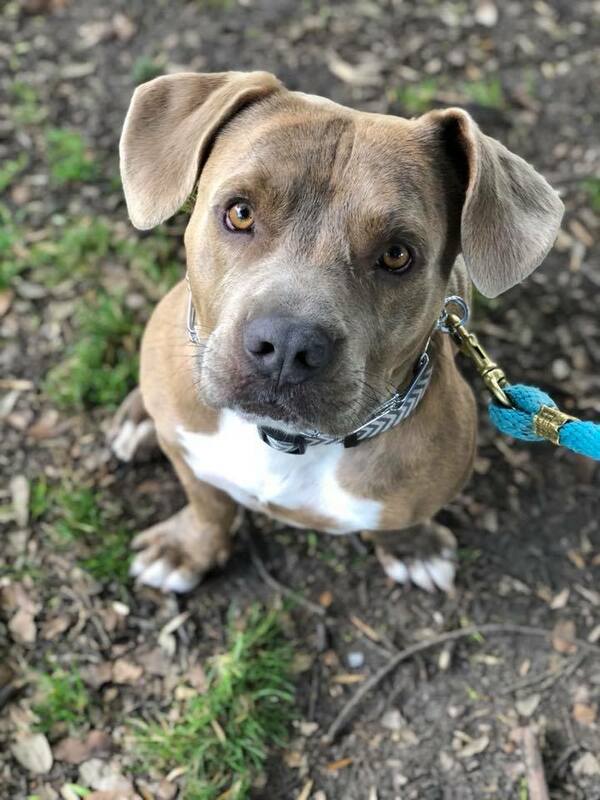 The shelter labeled my dog Makana as a pit bull/lab mix. Wanting to better understand how I could support her, I searched for pit-bull friendly classes. Before LARPBO, I generally traveled the areas between home (the Westside) to work (Downtown LA). Now, my dog has me traveling wherever LARPBO is: from classes in Sherman Oaks and Long Beach (also when we used to have classes in Crescenta Valley and Covina) to events in Pacific Palisades, Rancho Cucamonga, Costa Mesa, and cities in between, and to pack walks along the coast from Malibu to Long Beach and into the mountains of Santa Monica, San Gabriel, and Palos Verdes. 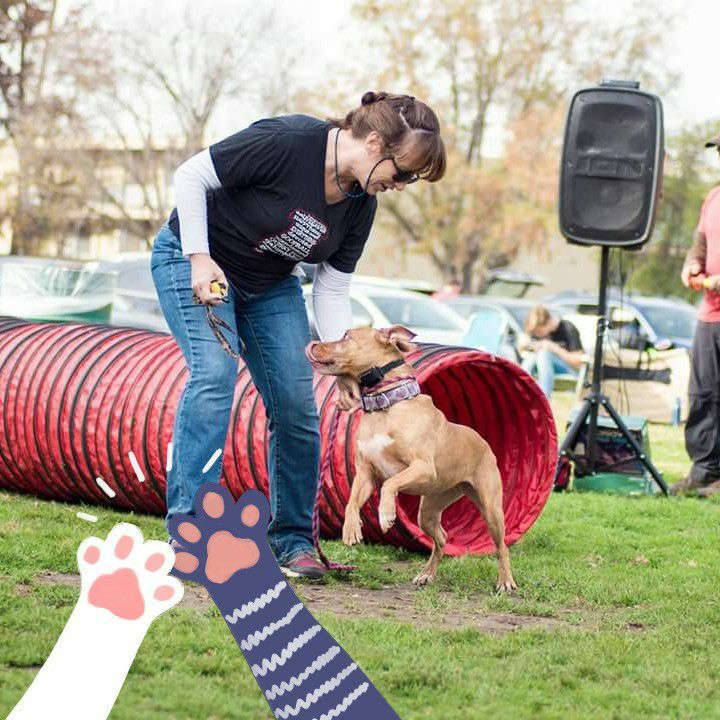 If you think I’m a crazy dog lady, well, I am in great company along with the thousands of LARPBO members that LARPBO has helped over the years…. Check out the map! 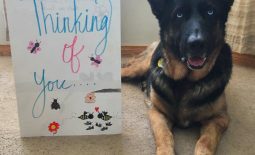 Keeping dogs home and out of shelters. 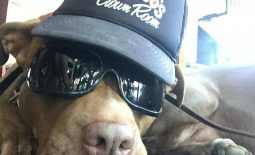 LARPBO is a community of dog lovers promoting a positive image of all bully breeds. Help us continue doing what we do. Donate to our cause. How far do you travel and why? It is 89 miles from Sherman Oaks…. about 1 & 1/2 hours away…. We have gone to the Long Beach classes… about the same distance…. It was great when there was a class in Rialto… or was it considered Rancho Cucamonga… that was a few years ago…. They don’t judge that my dogs are on the ‘vicious’ dog list…. 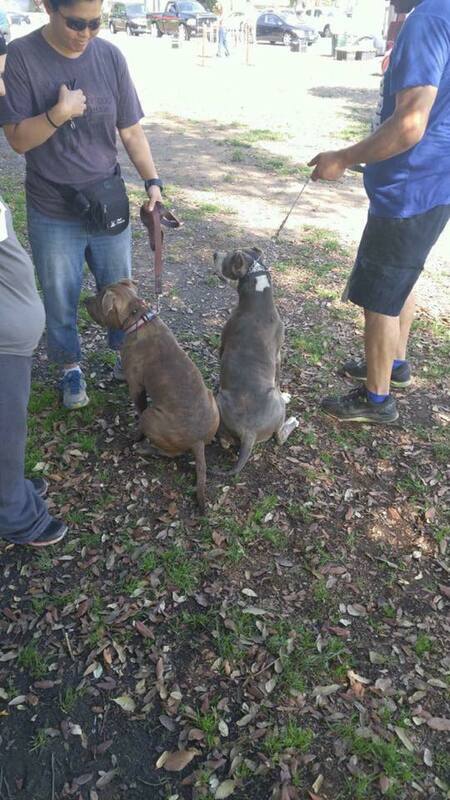 They don’t judge me when I let them know not to let their dog near my dog no matter how friendly their dog is…. 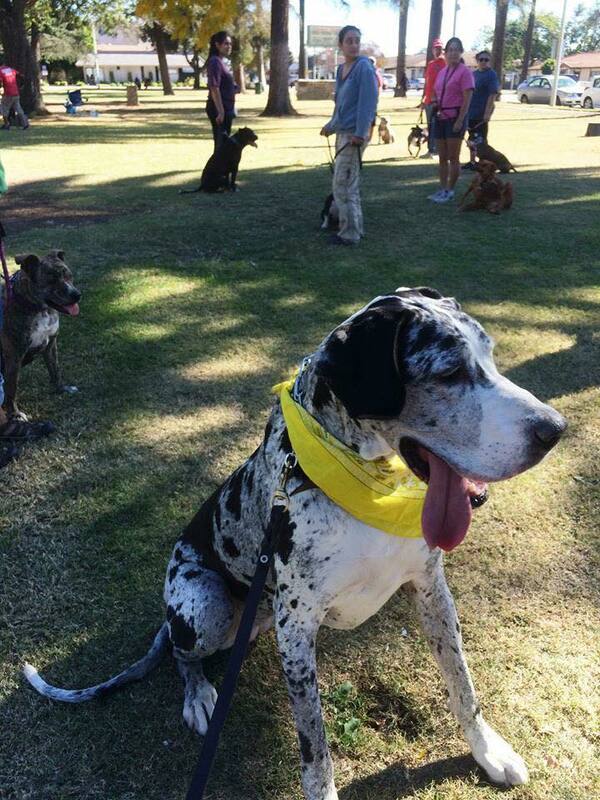 I love this group because me and my Great Danes are accepted and never judged…. Jessica Merrill I came from Palmdale it was about a hour or little more. I made the trip because Kelly, whom I met at NKLA, saw me having so much trouble with Lala (she was up for adoption at that time) and told me about LARPBO classes. As her foster and eventually forever home having dogs of my own I was so desperate to get a hold of her and maybe one day have her be decent with other dogs so she could be adopted or I wasn’t constantly rotating animals that I was willing to try anything. Well the first class I completely broke down crying because Lala was well Lala and a volunteer came and consoled me and Felix took Lala and he had her sitting next to another dog within the hour and I had to keep coming back because I wanted to do that too! 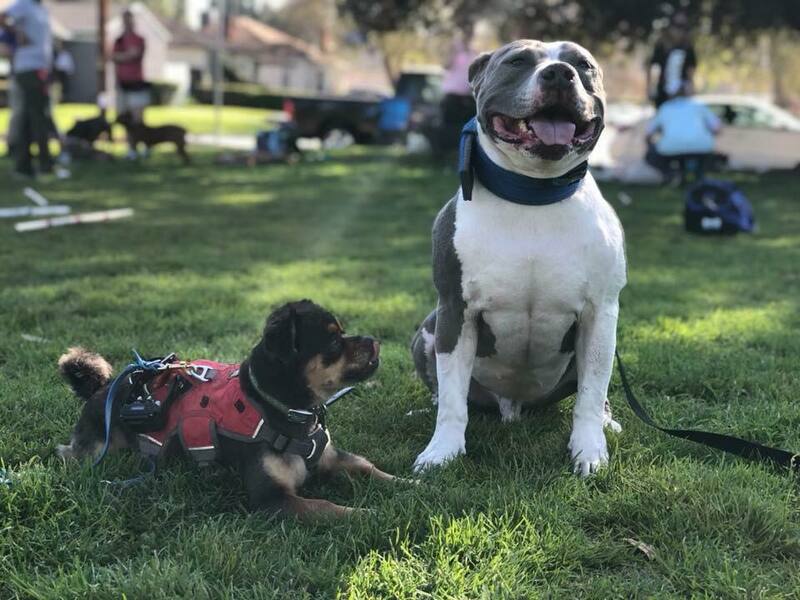 Attending a Sherman Oaks advanced class, Moses sees himself as muscular Roscoe. 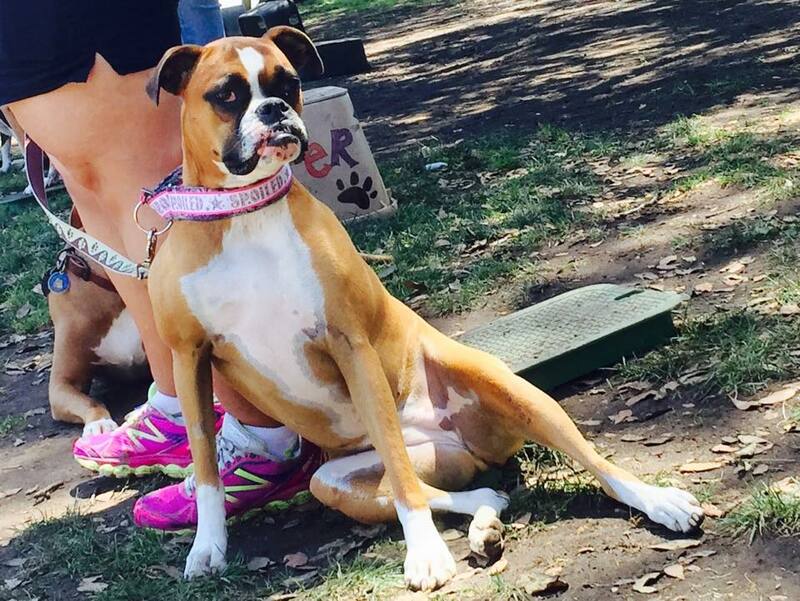 Gigi shows off her modeling skills at a Long Beach class. 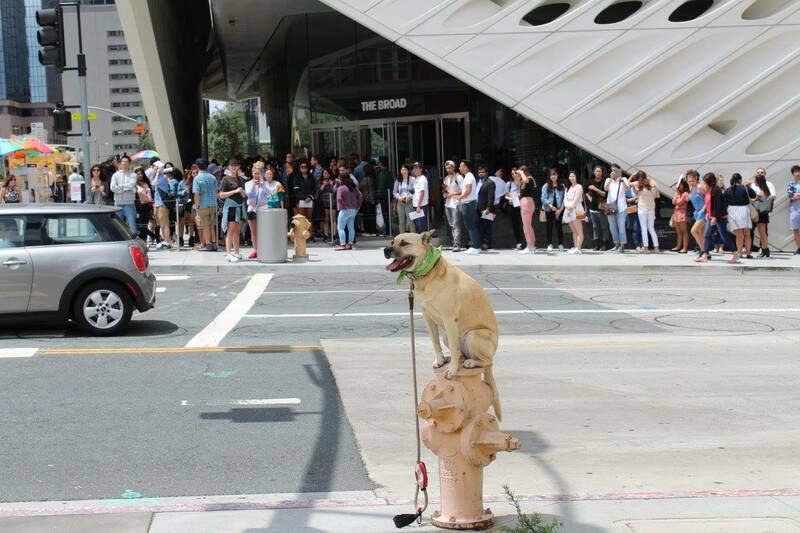 Makana performing at an advanced dog field trip in Downtown LA. 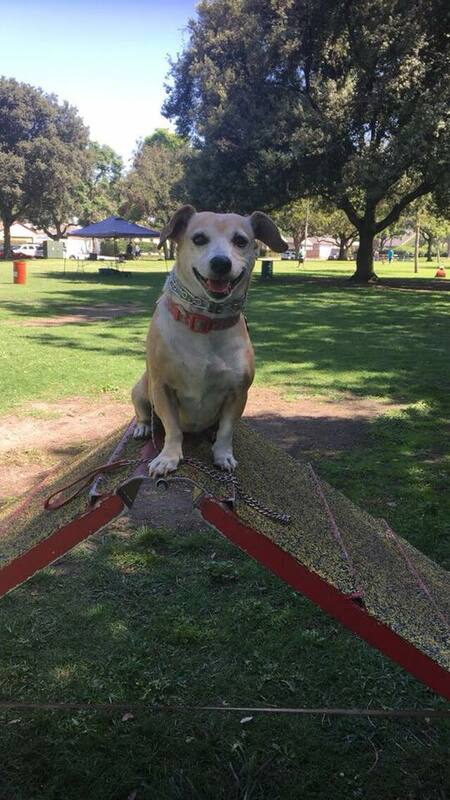 Honey is on top of the world when attending a LARPBO Long Beach class. 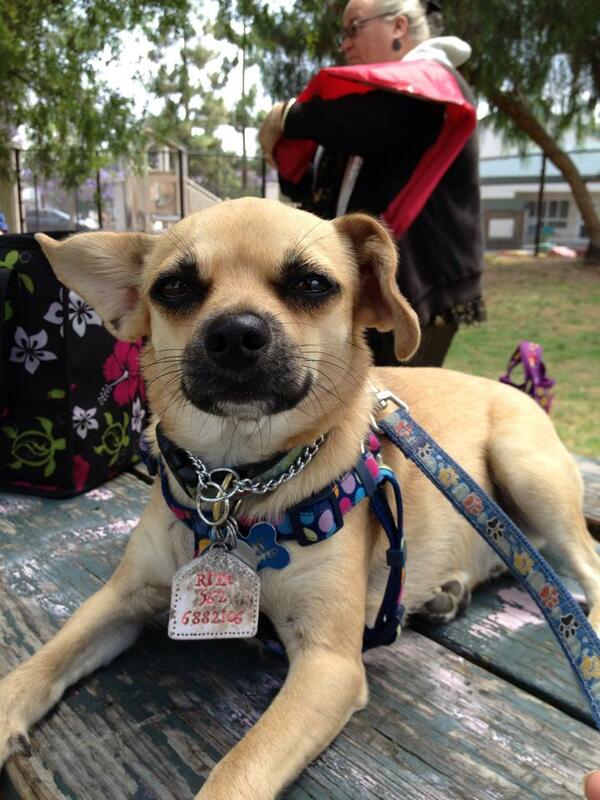 Ori only has eyes for his dad at a Sherman Oaks class of almost 40 dogs. 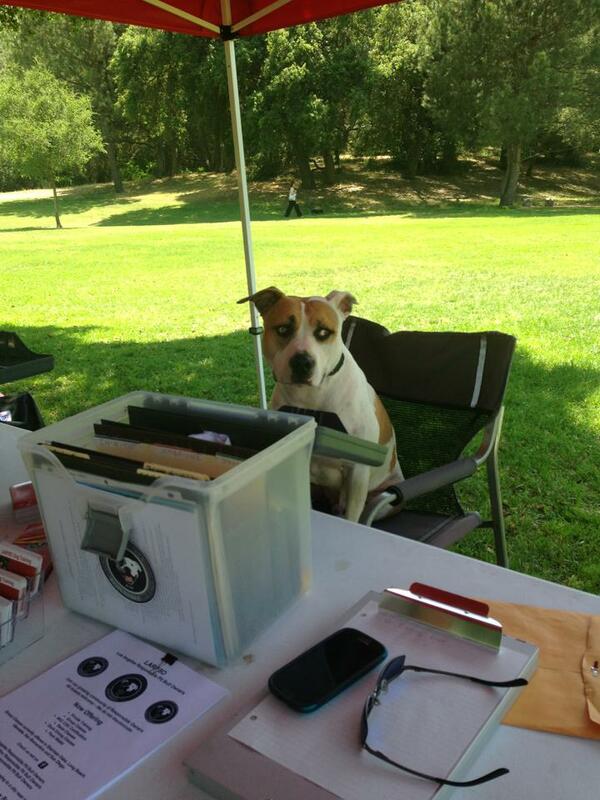 Riley ready to greet people at the LARPBO tent in Crescenta Valley. Daphne on a walk around the park at a Covina class. Sammy takes a break at a Long Beach class. 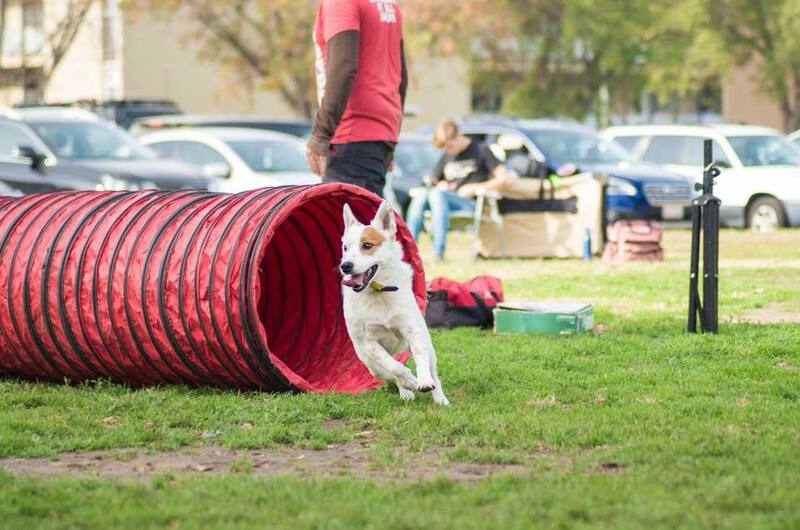 Andie breezes through a tunnel at an advanced dog sports class in Sherman Oaks. Mongo thinks looking cute is enough to get a treat. Well, not at a LARPBO Long Beach class! Jake at a dock diving competition in Hawthorne. 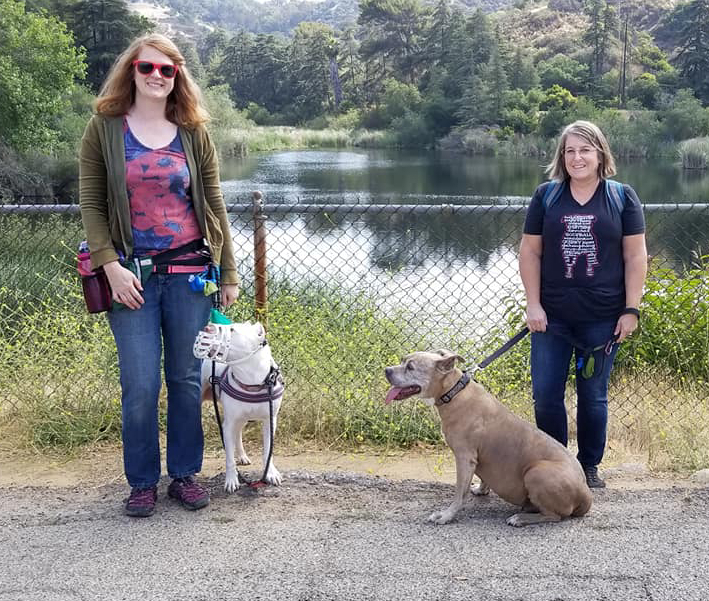 Paloma and Wiggles enjoy a senior stroll/pack walk at Franklin Canyon. Thor learns to swim at a Culver City dock diving/swim class. Bella enjoys the tunnel at an advanced dog Sherman Oak class. 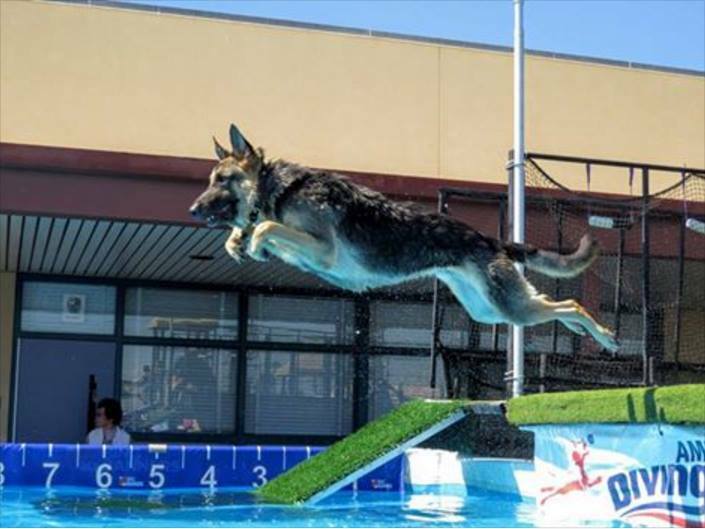 Debbie Kozin I drive from East Sherman Oaks to West Sherman Oaks because the trainers train the human and the dog to be a team. Then their is the LARPBO community which supports each other in all things and has fun in the process! And finally their is the LARPBO community that gives it all back to the greater community by helping rescues, shelters and people and pups in need. Truly am grateful to be a part of LARBPO. Carolyn Deyoe I don’t drive too far, but I chose LARPBO because every other class I found was an expensive series and I either found out after it had started or I had something going on where I would have missed a class or two and been out that money because you had to pay one amount for the 8 weeks. Laurie Thomson Finding pack walks where there is no judgement on her muzzle and dog/human aggression is worth driving for. I drove an hour tonight to make the Hahmonga pack walk with Kelly. It’s also worth the drive to know that there are rules about dog greetings and space between dogs. Tealeye Cornejo I found LARPBO for a friend and she didn’t want to go by herself, so I went with her and brought Gigi. Long after my friend stopped going, Gigi and I continued. 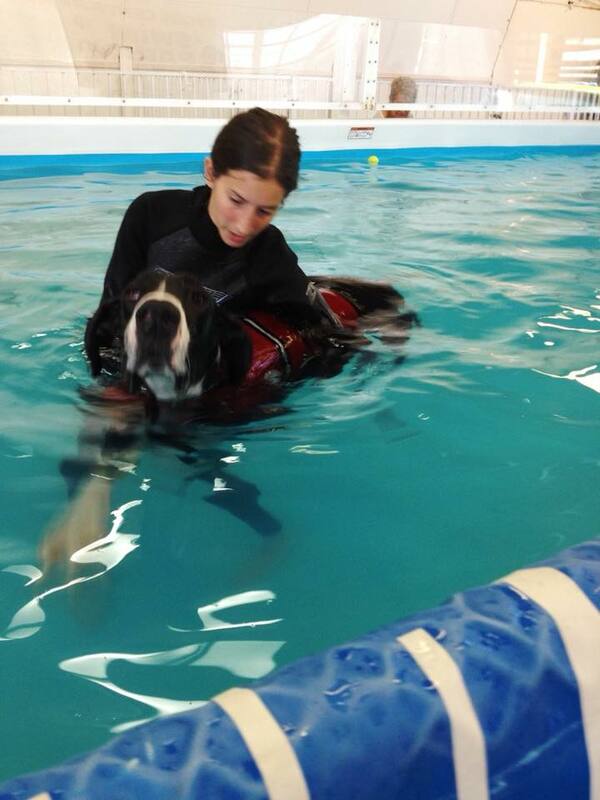 It was exactly what I was missing from the training classes I’d been to with Gigi. Building that connection with my dog. I haven’t found any other group that has been so patient and willing to work with my crazy pup. Even after 6 years. The commitment that each team makes to each other is hands down the best. We came for socialization and obedience and stayed for the friendships. 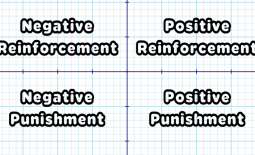 We work daily on behaviors and put them to the test every weekend. My dog has more friends then I do and a very active social calendar. I’m just the driver. LOL! Jane Wu San Gabriel/Pasadena to Sherman Oak and Long Beach. 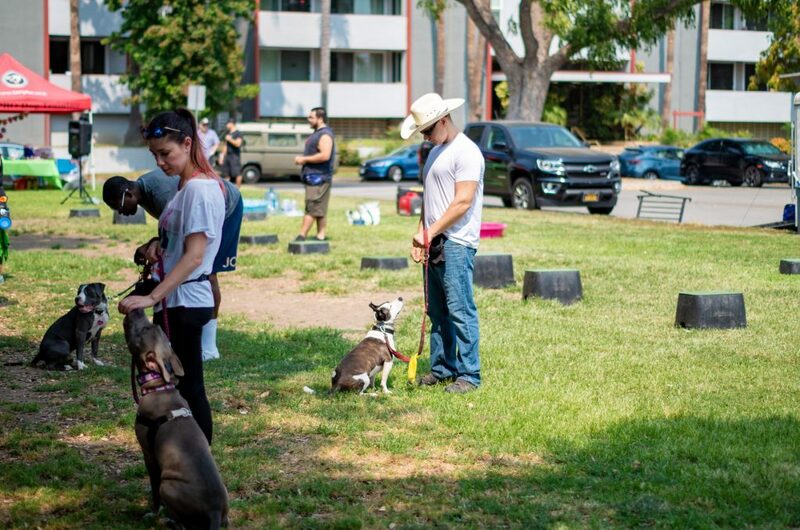 LARPBO is the best place to socialize my dogs, has the most supportive community, most dedicated trainers, lots doggie activities, most cost efficient pay as you go, and most resourceful on dog related topics. Robin Donatello Why!?? Because I couldn’t get this quality of training anywhere else. Because I wouldn’t do it on my own (because I don’t do it anymore) because of the PEOPLE.. Where else can you meet everyone from all walks of life all congregating around adorable drooling 4 legged critters. I came for the training, I stayed for the people. It was *so* easy and fun to help others. It gave me some purpose outside of school/work. Erin Juster We used to go to SO because we lived 5 miles away in Van Nuys. Now we are in San Pedro and have gone to LB- it’s further (18 miles). Reasons are (in no particular order of importance: training/socializing, to exchange ideas with other dog owners, chatting with people who feed their pets like I do, and lastly-and this is the harsh truth- when I see a dog acting worse than mine is that day- I feel better about myself and what I’m doing for them. I know harsh but TRUST ME- mine were the jerks once upon a time too! Sami Rose Simi to Sherman Oaks/ Long Beach: I feel like saying we travel for the quality of training is obvious… but that’s the reason. We had Ori in puppy school at a pet store and we hated going. We didn’t even want to finish the classes we had paid for. They didn’t seem to know how to help us work with his dog-aggression and blamed his lunging and barking on the fact that he was part beagle. It was/is hard going with him places because he is still working on acting like a civilized dog. At LARPBO, everyone got it. Everyone had been in a similar situation and knew what we were going through. At one of our first classes, Ori was a jerk to another dog. We were so embarrassed. Then, during meet-and-greets, that dog’s momma picked us to be her buddy!!! It meant the world to us!! It’s truly such an inclusive environment that is beyond welcoming. That’s why we travel and continue to travel! LARPBO has become a second family! Rita Vasquez I found LARPBO through a google search for low cost dog training because I had a chug who thought he was a thug. It’s been worth the drive from Whittier to both locations. Community classes for Sammy & Eddie were a bust. With LARPBO, we found great value, knowledgeable trainers, individualized advice and a fantastic community from which my dogs and I have made some dear friends. I always say the dogs have more of a social life than I do. I’m just lucky I get to tag along.